Called an art movement “in and of herself”, Crabapple is a highly politicized artist and writer who gets around the world of sound bites, producing a new kind of long form journalism. While she was in the West Bank, besides sketching what she saw, Crabapple, who chose her name at age 19 when she was working as a naked model, was reading from her forthcoming illustrated memoir, Drawing Blood. One might say that 30-something is too young to be writing one’s memoirs, but Crabapple started out early on the path to success, hell-bent on remaining a maverick. “Since I’ve written my memoir I’ve been thinking back on my decisions and they could be taken as adult and mature or just [those of] a weird person. I think I was just weird,” she said. This entry was posted in Press on June 14, 2015 by admin. Will the Charlie Hebdo Attack Reshape Who We Are? Cartooning is particularly “inflammatory,” said comics artist and illustrator Crabapple, because “it is visceral and irritates authoritarian assholes.” But she also noted that it’s easy for cartooning to be “taken out of context,” stripped of ironic intent and nuance, and used to provoke and offend. Indeed, she suggested, in the age of social media, where images are regularly recontextualized and recirculated, the ability to demonize an image, and its creator, will likely worsen. This entry was posted in Press on February 22, 2015 by admin. 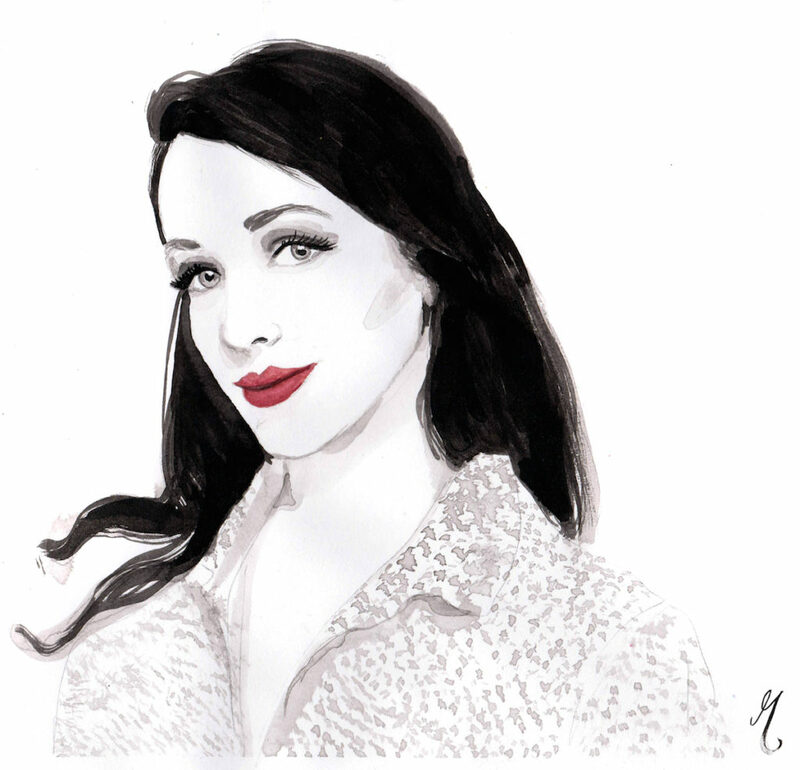 Molly Crabapple is a pseudonym but it’s somehow fitting for the artist who learnt to draw a proper nose aged only four. She has a permanent collection at the Museum of Modern Art, New York, but remarkably Crabapple is self-taught. Her trajectory into the world of illustration was unconventional: having dropped out of FIT (New York’s Fashion Institute of Technology) she launched her own leftfield drawing school in 2005 at the tender age 22. When she founded Dr Sketchy Art School Anti-Art School, she entered into a world of burlesque dancers, drag queens and underground performers. However, this was a familiar world to Crabapple. 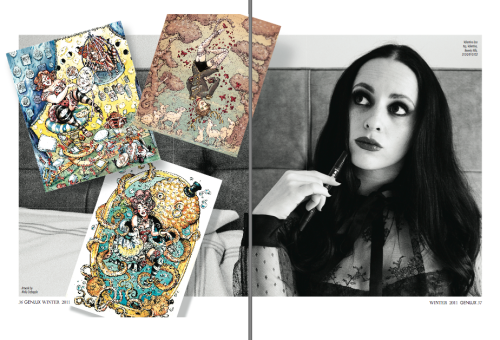 At 19 she started working as a life model, and that was in fact when Molly Crabapple first adopted her alias. “When I go on TV, Twitter digs up old photos of me at parties and asks the producers why they have such a bimbo on air,” says Crabapple. “But the thing about proving things? Your jaggedness just goads you on – it makes you sharper and harder. It gives you swagger.” And boy, does she have swagger. 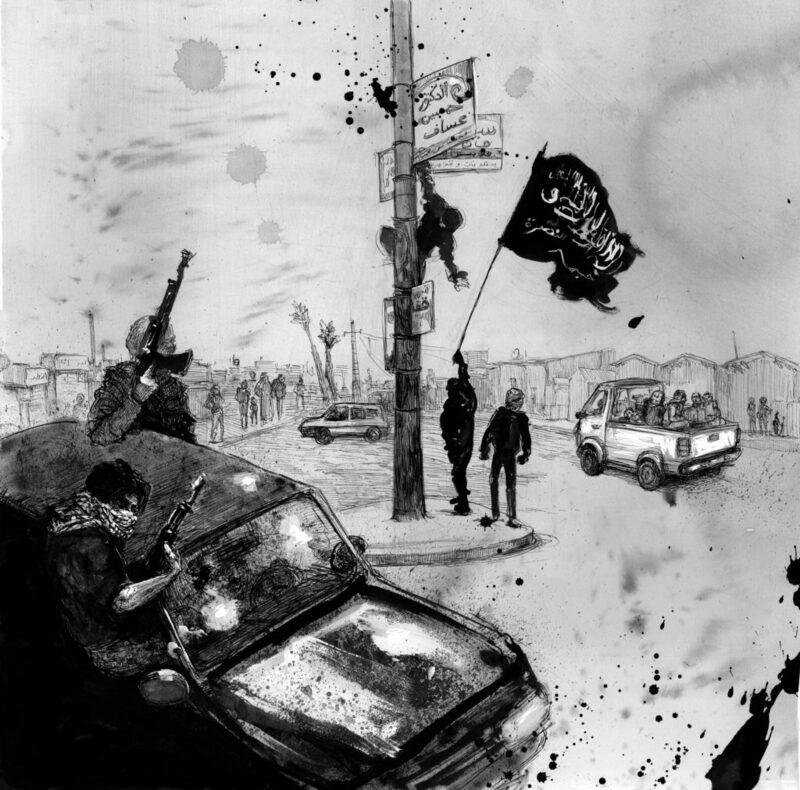 This entry was posted in Press on February 21, 2015 by admin. I have a 6 page spread in the new issue of Juxtapoz, where I talk with Tarssa English about burlesque, politics, art and being arrested. This entry was posted in Press on October 14, 2012 by Molly. This entry was posted in Press on December 28, 2011 by Molly. 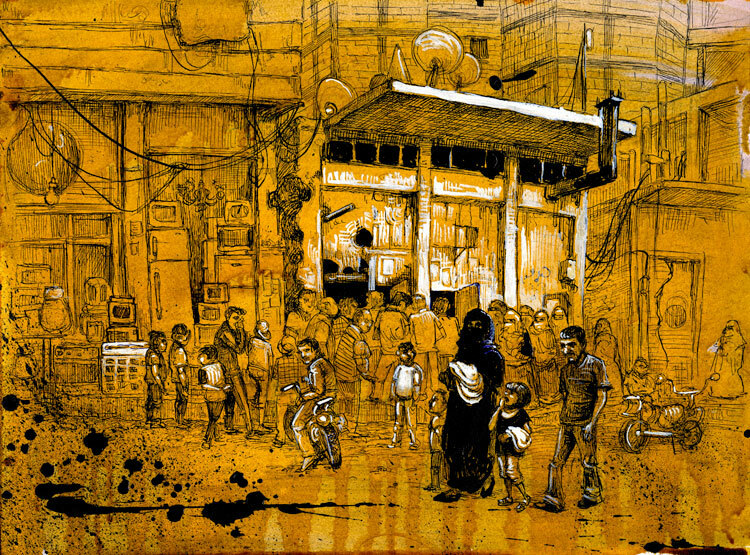 Molly Crabapple’s Week in Hell from Brainwomb on Vimeo. Keith Jenson of Brainwomb made a mini-doc on Week in Hell (in which I locked myself in a hotel room and created 270 feet of art in 5 days). I hope you like it. This entry was posted in Press on November 29, 2011 by Molly. This entry was posted in Press on November 27, 2011 by Molly. This entry was posted in Press on October 26, 2011 by Molly. 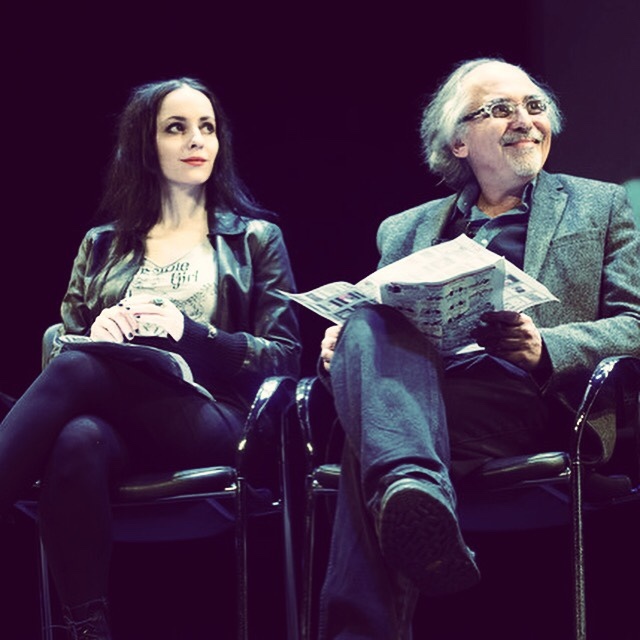 Molly Crabapple at the PEN Literary Festival from molly crabapple on Vimeo. Filmmaker Shahrir Shadab did a wonderful short documentary about the art installation I did at the Standard Hotel for the PEN Literary Festival. This entry was posted in Press on August 3, 2011 by Molly. “Crabapple describes Kickstarter as a modern day alternative to a broken, elitist, jargon-heavy unapproachable grant system that it doesn’t take advantage of the internet. This is her third project funded by the site, and while it may be ambitious, it’s not unusual. For her, that is. This entry was posted in Press on June 17, 2011 by Molly. Molly Crabapple lives in Paris in the 1890s. At least that is where I was transported when I entered her pre-War full–floor loft in the Financial District. This entry was posted in Press on June 1, 2011 by Molly. Thrillist and Stoli gave me a nice little writup, saying I was “unique” which is certainly a polite way to put it. Friend/phenomenon Gala Darling recently got a major profile on NZTV. They were kind enough to give me a cameo. Check out Gala’s site for pink, lovely writing and subversive sparkles. This entry was posted in Press on May 24, 2011 by Molly. This entry was posted in Press on October 15, 2010 by Molly. Comic Con is over, for me at least. What a whirl of parties (MTV! Amanda Palmer’s Party on the Internet! DC Comics! The Comic Book Legal Defense Fund! Yosi Sergant’s Re:Form School! All in three days!) Yesterday, I had the somewhat surreal experience of donning a blazer, with uber-smart Pablo Defendini and Daniel Burwen, talking about arty/techy doom/possibility to an audience including five of my former teachers. In a comic landscape dominated by superhero and action-adventure books, Scarlett is a welcome respite. As is Crabapple’s humor and artistry. This entry was posted in Press on October 10, 2010 by Molly. This entry was posted in Press on June 29, 2010 by Molly.